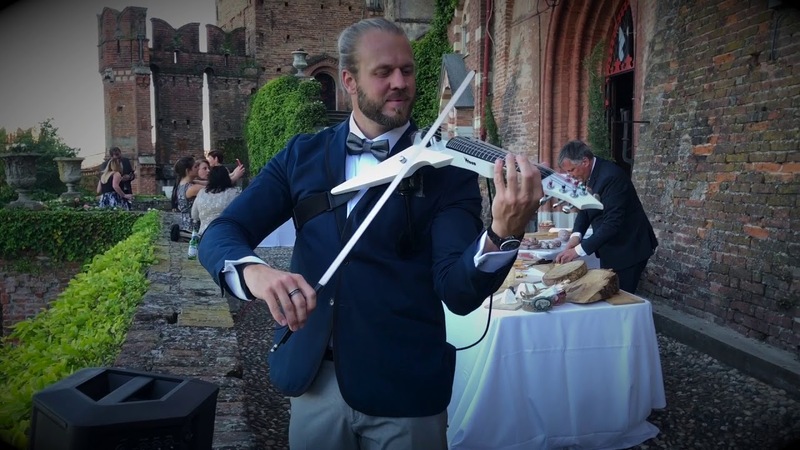 Jared Violin Full Promo - Events - For Weddings Click Below! Violinist performing any genre of music desired. Musical selections from Michael Jackson and Bruno Mars, to The Beatles and Coldplay! Also can provide duos with guitarists, harpist, stringed musicians, sax players, and even a full band to top 40 style pieces that can be tailored to every occasion. Every playlist and song selection is customized to your need for musical entertainment! Solo artists, quartets, classical, contemporary, and full band. No event is turned down!! Send me a direct email to get the full breakdown of the services and stylings that we provide. I look forward to working with you soon! Everything I was expecting but amped up tenfold! "Consummate professional" is probably an overused term to describe Jared Violin. Because he absolutely is a consummate professional. But that does not even begin to scratch the surface. After 20+ years in this industry, I can honestly say Jared kept surprising me and impressing me from beginning to end. This is a list of words describing Jared that I experienced at some point in our brief journey: congenial, appreciative, dedicated, flexible, sincere, punctual, thorough, gracious, extraordinary, educated, enthusiastic, motivated and above all of that, TALENTED. Hands down, one of the best corporate musical experiences I have hired and I would hire him again in a heartbeat. It was a pleasure working with Jared for all pre-event planning. He was easy to work with and the process was flawless. Jared made this a memorable experience for 400+ guests attending the Gala. I received many compliments the night of his performance from sponsors and donors. His music was captivating. Thank You! I could not say enough good things about working with Jared. Jared flew to Vegas to perform at our trade show. Not only is he an extremely talented musician his personality and professionalism made him an absolutely pleasure to work with. Not having booked a musician before, he walked me through it all and helped explain everything from A to Z. Our company along with all those who saw him at the show were very impressed. I would recommend him to everyone! Jared is a one of a kind act. He modernizes the violin to fit the musical preferences of any event. On top of his talent, Jared was easy to connect with and book. I would highly recommend Jared for any event. Our guests commented on how wonderful and unique the entertainment was! From the first email I sent, Jared was as professional as any person I have worked with. We hired him for a party at our home and he was punctual, professional and polite. Once the guests arrived and the music started, Jared's performance set the tone for the evening and not a single person could stop talking about the music. The performance was exactly what we were looking for and every guest commented as they were leaving about how unique the music was and how much it positively added to the event! We are incredibly happy with our experience with Jared and will 100% use him for a future party. Nothing but good things to say about the entire experience! Jared was absolutely great to work with. He was very responsive, had great suggestions and was all together professional to work with; not to mention just the pure talent. I would refer him for any event as he performed 2 sets on our wedding day. One for the ceremony which was filled with classics and provided a romantic feel to set the tone for the day. This was followed by an upbeat set for the cocktail hour. Our guests were thrilled we added this element as a surprise for them. Jared is a superstar! He recently performed at my sister’s wedding on the beach. It was absolutely amazing, a perfect blend of classic and modern. He has a large repertoire of pieces ranging from wedding classics like Canon in D to major pop ballads such as All of Me, and all things in between. The guests were thoroughly entertained and highly complimentary of him, as were the bride and groom. He added so much to the event. He was there with sufficient time to set up, perform microphone checks, and warm up before guests arrived. It was such a relief to not have to worry about this aspect of the day. Jared created a magical evening for our Members Weekend. The event was a post dinner dessert and coffee event held in a beautifully decorated home for the holidays. Jared embraced the feeling of the evening and the gathering and throroughly entertained us in an elegant and personal way. Just breathtaking...He was so engaging and thoughtful in his demeanor which made for an even more fantastic evening. I would hire him again without hesitation and those who did not attend our event certainly missed out on something very special. Jared was very responsive and professional throughout the planning process. When party plans shifted, as they always do, he was quick to adapt. It is great to work with vendors that want to bring your company's vision for the event to life. The performance was amazing and he had people dancing during cocktail hour! Booking Jared was probably the best decision we made in regards to all vendors booked for the wedding. He was so easy to communicate with, both before and during the event. He is worth every penny and more, and totally set the vibe for our wedding. The music was perfect and beautiful. Jared is so professional but easy going and not stuffy or hard to talk to. I would book him ten times over for any event we ever hold in the future. You are very much missing out if you look elsewhere. It was a dream to have Jared perform at my sister's bridal shower. He was the highlight of our event and wonderful to work with! Everyone at the event was blown away with his incredible talents! We are so grateful that he was available and there to share his beautiful music with my friends and family! Jared was not only a professional entertainer but was also a pleasure to work with him down to the final details. He accommodated all our requests and created an incredible atmosphere of violin music. We give our full recommendation and will definitely request him agin. As a wedding planner, I recognize amazing wedding industry professionals when I meet them. Jared recently performed at one of my couple's wedding during the cocktail hour. He did an amazing job and the guests were not only in awe but entertained. He is very professional and I highly recommend hiring Jared for your next wedding, party or life celebration. You will not regret it and he'll give your guests so much to talk about. Brought the energy we were looking for! Jared is phenomenal! He played this past weekend at the Cowford Ball in Jacksonville, FL and everyone is still talking about the energy and vibrancy he brought to this large event. He is not only talented and entertaining, but easy to work with. Wonderful experience in every way! Thank you, Jared!! Jared is an amazing performer. He is very skilled with his craft. My guests were thoroughly entertained during my wedding wedding cocktail hour. He has an awesome energy and he plays the electric violin with so much fun and passion. I will definitely recommend him for your next event!!!! Jared was very professional, entertaining, and on time. All of our guests loved his performance. Would definitely book again! Jared and Deanna as a duo violinist and harpist were the perfect entertainment set for our event. The music was classic and tasteful, and the performances were highly impressive and entertaining. It had our entire crowd mesmerized! Jared was also extremely professional and a pleasure to work with throughout the booking process. 10/10 would recommend! Jared was so professional and we got many compliments on how great he performed. We used him for our brokers opening and he did awesome. Would definitely recommend! Our office held an informal party for staff (approximately 150 people) and Jared provided the music. He maintained a great atmosphere for the event (not too soft, not too loud) and we received many compliments about our choice of entertainment. The set up was very nice, too. Jared is easy to work with, the transaction was smooth and we will definitely be calling him again for future events! Jared's made the wedding extra special and memorable. Jared perforned solo violin for a full hour during the cocktail reception for my daughter's wedding at the Alfond Inn. If you have never heard Jared play, go to his website and you will be amazed. Jared's is a gifted musician and superb entertainer. His playlist is extensive and his showmanship second to none. He was the talk of the reception. I will be watching for Jared's appearances around town and be a frequent visitor. Simply put, Jared is outstanding! Jared Violin was AMAZING. I was looking for entertainment last minute and he was quick to respond. Jared is great at communicating before, during and even after the event. Which is a big thing for me when working with vendors. At the event he was wonderful. Our guests loved the music. My favorite part was his guest interaction. He was walking around the venue performing and guests thought the music was coming from our AV team. The look on our guests faces when they found out it was Jared was priceless. I can't wait to work with Jared again. Our entertainer cancelled on us last minute, and then I found Jared. He was so thrilled to help make sure we had a violinist for our valentines day performance! Jared is such an amazing person! He provided us with an amazing acoustic violinist. My residents and staff absolutely adored the performance! I have never seen them so happy! Thank you so much Jared for everything you did for us! Jared played his electric violin for my wedding ceremony and for guest arrival. It was truly magical walking down the aisle to the beautiful music. For Recession, we had him play A Justin Timberlake song and it was just as amazing and got the party started going into cocktail hour. We surprised our guests with this and Our friends and family loved it! Add a videographer for us last minute and he was wonderful. All the vendors worked well with each other. Women swon over Jared and the electric violin! It is not just the fabulous music and his talent for entertaining with Jared. My wife, Pam, will tell you that his organizational skills were the real deal. He helped plan and book the other entertainers for our Christmas/Phantom of the opera extravaganza. It was a wonderful night for our guests and Jared made it happen! Jared played at our Holiday Party at the Alfond Inn. He was amazing! Will book him again for all of our functions. Beyond Flawless- The THOR of violinists! The music, the presentation, just everything about Jared’s whole package was breath taking. It took the mood of everything and moved it up 10 notches. He catputered all the joy of everything going on and managed to translate that out in the form of his play. Beyond satisfied is what all the guest, myself, and my new beautiful bride was from the performance. I HIGHLY RECOMMEND Jared for any/all events!!! You will not be disappointed. I cannot say enough amazing things about Jared as a performer, entertainer, and his beautiful talent. My husband and I wanted something different for our wedding cocktail reception and immediately thought of Jared, as we had seen him preform for many events before. I always said, one day, we will have him play at our wedding, and I am so happy we got to carry that out. Our guests thought he was incredible, and some of them are already thinking about him for future events. He will listen and play in a direction you would like, and we loved his modern song suggestions mixed in with some classics for our cocktail reception. Thank you Jared for your time, talent, and amazing entertainment for our guests! All of my clients loved his performance and enjoyed it to the fullest. He is extremely talented, courteous and pleasing. I will hire Jared for any of my upcoming events! Jared is an amazing violinist and plays the most beautiful music. He played at our wedding ceremony and cocktail hour. He is so easy to work with and very professional. Jared provided live music for our Waterford Signing event with Tom Brennan at Macy's Memorial City in Houston Texas. The store is still raving about the experience. The music is incredible and the electronic violin is a show stopping instrument that drives a ton of traffic. Customers and Vendors alike were amazed by Jared's talent and unique performance. He was incredibly kind, courteous, professional and a pleasure to work with. He flew all the way into Houston just for the day for the event. I would highly recommend him to anyone. Our Hotel hosted a welcome reception for our Company last night to kick off our Sales Conference here in Orlando. Jared's performance was superb! he was amazing from beginning to end. His charisma and professionalism shined through out the entire night. Thanks to Jared we made a great impression for all attendees. We recommend him and will be sure to share our experience with everyone! I would highly recommend Jared! He added so much to the mood and atmosphere to our event, I couldn't be happier. Jared is very professional, extremely talented, and was a pleasure to work with. I will be calling Jared about performing at Future Events! Thanks again Jared! Jared was excellent for our Valentine's event! I would highly recommend him. Our guests for this event thoroughly enjoyed Jared and told me that this was the best performer we've ever had. Thanks for a wonderful event Jared! We are so thankful and appreciative of Jared and his beautiful performance! Everybody was so happy and made so many compliments about his playing to us throughout the reception! He was so easy to work with and reliable even after being sick and having another gig right after!! Thank you Jared we will definitely be recommending you and hopefully be able to utilize your services again! Jared was amazing. The live music really took our event to the next level. I gave him the flexibility to choose the music for our event. It was the best decision I made. He played the perfect mix. Part of the experience was just watching him---he's so passionate about what he does. He truly "feels" the music and the instrument. Some of my guests never knew that electric violin exists and were completely blown away. He opened a whole genre of music to a group of people and forever changed their lives. The only regret I have is that it didn't last longer! If there comes a time again when I need live music--I will call Jared for sure. Hiring Jared Violin was the best decision for my event! I hired Jared for a dinner event at Todd English’s Blue Zoo the evening of December 3rd. And he held an amazing performance. Not only is he talented, I truly appreciate his professionalism, attention to detail, and the high regard to customer satisfaction. Overall his music choices were on-point and his rendition, memorable. I can say hiring ‘Jared Violin’ was the right choice! Jared was amazing! His music was the perfect touch for the wedding. He was so nice and accomodating to any special requests we had. I would definitely recommend him for any event. I recently hosted a small group reception, and wanted something special - both from a musical as well as an entertainment perspective. It's easy to find "background" musicians, who create music, but that's not engaging. It's rare to find the combination of memorable and entertaining music. Jared hit it "out of the ballpark." His skills, the uniqueness of his performance, his persona and presence - all awesome. Whether for an event of 20 or 500, Jared is a winner - he's on my "keeper list." Jared was such a pleasure to work with, very easy going and fast response time. He arrived on time on the event day and was set up and ready to go based on timeline provided. his performance was amazing and beyond my expectations. I would definitely hire him again. My guests still talk about his performance. Thank you again. I did extensive research, viewed hundreds of videos, and contacted / interviewed several musicians that I thought would bring a special touch in a surprise marriage proposal to my steady girlfriend. We are not young, and actually both have had previous marriages, so this really needed to be good. From the first day that I met Jared, I knew that he would bring this special event to a new romantic high. Jared took the time and agreed to learn / play her favorite song, as I asked her to marry me.. His performance was beyond anything I or my new wife to be ever imagined, she was in tears the entire time. Jared will not let you down, his mastery of the electronic violin is among the best that I have ever heard, and not even Lindsey Sterling could have done better. Thank You Jared for making this event so very special. Our experience with Jared began about 5 years ago. My husband and I watched Jared in a solo performance at the Grand Bohemian Hotel in Orlando. We looked at each other and said that we would love for him to play our wedding one day. Fast forward 4.5 years later, we were having our initial sit down meeting with Jared to go over details of our event. Given Jared's impressive resume, we thought our wedding would probably be small potatoes for him. To our surprise, Jared made us feel like our wedding was the most important event he would play. He was extremely professional, enthusiastic about the event and accommodating to all of our music requests. Jared provided a beautiful variety of music for our ceremony and cocktail hour and set the perfect tone for the evening. Our guests had nothing but rave reviews for his performance and talent. Jared gave us a memory that we will cherish for our lifetime together, and we cannot recommend him highly enough. Thank you Jared!!! We hired Jared to provide a harpist and cellist duo for our wedding ceremony and he music was beautiful! Our choice of music selections was large and the musicians very flexible. Jared was fantastic to work with and he was very reasonable with his price. Highly recommend working with him. Jared provided excellent service from beginning to end. He was prompt and made last minute changes for the circumstances. The music was beautiful and I received compliments from guests. I would recommend Jared to anyone needing beautiful music for a special event. Jared really did make our wedding day so much better! Our guest still haven't stopped talking about how great his performance was! He was so easy to work with. he even helped me pick out which songs would be best for my bridal party entrance, since I was having a hard time picking them out. Jared was very easy to reach with any questions i had and very fast at getting back to me. We would absolutely recommend Jared Violin to anyone! Jared was an absolute joy to work with. His communication leading up to the event was timely and accommodating to our needs. Once on-site, Jared was extremely professional in demeanor and his performance was even more so. We were seeking a one-of-a kind act, to bring a unique touch to our production. Through his adaptation of modern music, Jared did just this. His passion and level of talent truly shined through his performance. From his body movement, to the gracefulness of every bow stroke, the artistry was impeccable. A true professional in every sense of the word. Jared would make a great addition to any event and would be a treat for your client and guests. A wow factor indeed! Easy to work with and an amazing performer! Jared was so easy to work with for our event. When it came to event day, he arrived early and was flexible with the timing of his performance. I think everyone loved his performance! I sure did! Jared, this Saturday I had the opportunity to enjoy your music at Mattia's communion and I along with all who were there, were elated !!!! this time would not have been as special without the company of your violin notes, I really congratulate you, still delighting us with your art and we count on you to cheer our events. MANY THANKS FOR YOUR TALENT! Many Many Thanks for your support for the celebration of Mattia’s First Communion. You are by far the best I have come across. I would like to sincerely thank you for all the effort you put into making the reception a memorable event. You even had Mattia enjoying his favorite songs and all my guests appreciating your talent! Your friendliness and professionalism surpassed my expectations and I will definitely recommend you. Thank you again for making our celebration so perfect and magic! Jared was exceptional to work with. His correspondence was always professional, friendly, and timely. His performance day of was outstanding. We are truly grateful for his willingness to and adaptability when working with our organization. I would highly recommend him as a performer. I hired Jared for our wedding and I was not sure what to expect since I did not know him before and what a surprise it was!!!! AMAZING!!! There are not enough nice words to say about him and his work! Extremely professional, reliable and his music is outstanding!!! Thank you soooooo much Jared! You made our day super special! Wonderful and very responsible person, fast response, his performance i don't have words to describe how fantastic beautiful and magical it made my wedding ceremony and cocktail hour i higly recommend jared for any type of event his the best !!! Jared was very attentive and professional. He was very quick to answer my messages, and helped me plan out a perfect proposal. He is extremely talented at playing the violin. Outstanding performer. It was a pleasure to work with Jared from the beginning of the booking process to the standing ovation the crowd gave him. Extremely talented and a wonderful entertainer. He played just the right music for our guests, leaving them wanting for more. I would book him again in an heartbeat. Jared was the perfect addition to our school fundraising gala event! He was helpful and self-sufficient with his set up, and the music was progressive yet familiar enough to get people's heads nodding. He was a great performer! Jared arrived an hour and a half before the event to set up and test equipment. He was a consummate professional, has a beautiful talent, and is very dedicated to his performance. He played a half hour set during our cocktail time and then performed two songs as our entertainment for the night. He nailed it!! Our corporate event was made better by his presence and performance and his passion could be felt from the front of the room to the back. We had visitors in from our corporate office and they fell in love. Thank you for the amazing performance and making me look so good to everyone that attended! Jared's violinist, Julianne, was just lovely. Her play was beautiful and emotional and perfect for the occasion. Jared was wonderful to work with. He was helpful and responsive to all my questions and requests. The overall experience was great. We hired Jared for our wedding at the Ritz-Carlton in Fort Lauderdale. He traveled down from Orlando to play during our ceremony and cocktail hour. Having Jared as part of our wedding was one of the best decisions we made. He is incredibly talented, adds an enormous amount of class and elegance to the evening, and his sets are flawless. During our ceremony, our DJ played the traditional wedding songs and Jared played along seamlessly. Walking down the aisle, I was blown away by how perfect he was. After the ceremony, our guests enjoyed listening to his beautiful sounds as they mingled during cocktail hour They could not stop raving about him. If you are considering hiring a live piece for your event, do it. We were on the fence, and weren't sure if we should hire someone, or just stick to the DJ, but we are so thankful that we decided to work with Jared. He was able to create such an amazing atmosphere with his music and made our evening so special. A++! Jared was one of the highlights or our two celebrations. He is extremely talented and very professional. He was even asked, last minute, to assist in an unexpected proposal and came through, creating priceless memories for our couple! I would highly encourage you to consider Jared for your upcoming event....he is dynamite! "Did Thor Just Walk In??" Jared was a pleasure to work with and responded quickly to every communication I had with him leading up to the event he was hired for. At the event his music and talent was superstar status, and we will definitely hire him again for future events within the Florida Hospital system!! Passion runs through the strings! We approached Mr. Burnett with a corporate even that we needed to approach with not only a out of the box performance, but also a little unsure if our vision would be delivered through his performance. Not only was our events performance astonishing, the creativity that Jared provides into our ideas were what drove it home to our Clients. We couldn't have been any more satisfied with the event, and you can feel the passion the moment he touches his instrument. Astonishing performance, and hope to have the opportunity to work with his team again. Jared and Jose, thank you and your for pulling on our heart strings, by jamming on yours! My guests and I were taken by Jared's talent. Multiple times throughout the evening and days after, my guests mentioned how impressed they were with his performance. Jared demonstrates such a diverse range from classical ballads to modern hits making him very relevant. A true entertainer, he plays with immeasurable passion and intensity. He was also very professional throughout the booking process - always quick to respond to a phone call or inquiry. I would certainly hire him again (and again) and recommend him to everyone!!! Jared was amazing!! He was extremely responsive from the first reach-out, so easy to work with and completely professional. He worked with me to develop a perfect solution for our needs and executed it flawlessly. Jared worked with our A/V team prior to and at the event to ensure everything was set-up to create the best sound output. I was so impressed and pleased with his performance which created the exact high energy ending to our meeting that I had hoped for. Simply excellent experience start to finish! I booked Jared last summer for an event held during ICSC convention and was absolutely blown away by his talent! We received so many compliments from event attendees on his performance that we ended up booking him for 3 other events (Florida Film Festival Block Party, Visit Orlando Fall Member Mixer and Paseo at Winter Park Village Grand Opening). He is not only very professional and polished, but very easy to work with, answers emails efficiently and was always on time and prepared for each event. I would highly recommend him for anyone looking for unique entertainment that is sure to wow your guests! Jared was responsive, reasonable, personable and incredibly talented. I would recommend him to anyone who wants to class up their event with a unique talent. Jared played the violin at our wedding that was at Paradise Cove in Orlando FL. He played an amazing set on his violin that was a mix of classic, current, and traditional wedding songs. He was able to blend in our favorite songs seamlessly and really topped off our perfect day! I would definitely recommend Jared to anyone who is looking for a very unique and flawless performance for any occasion! Jared is a fantastic musician/violinist. My clients have always been extremely satisfied & impressed - Love working with Jared & will continue to do so. Absolutely amazing and pure talent! Jared was the perfect addition to what we needed for this engagement event. He was professional, flexible, and extremely talented. The communication from him was phenomenal- and even though I didn't have all the details together he served as someone who gave input and suggestions that were helpful! I know I will definitely use him in the future and WOULD and WILL BE recommending him to everyone! His Beyonce "Halo" rendition is absolutely tear-jerking! Upbeat, energetic and memorable performances of popular music on the violin. Not your typical classical ensemble performer who is fully self-contained and only needs access to power at the venue. Supplied with own music and wireless rig I will be roaming your event, or stationary if you prefer. I look forward to getting to know each client personally so I can ensure the event has the impact the client wants to provide. Jared's talent is exemplified through his innate ability to play the violin, when at the age of three he began to play and nurture his musical skills. 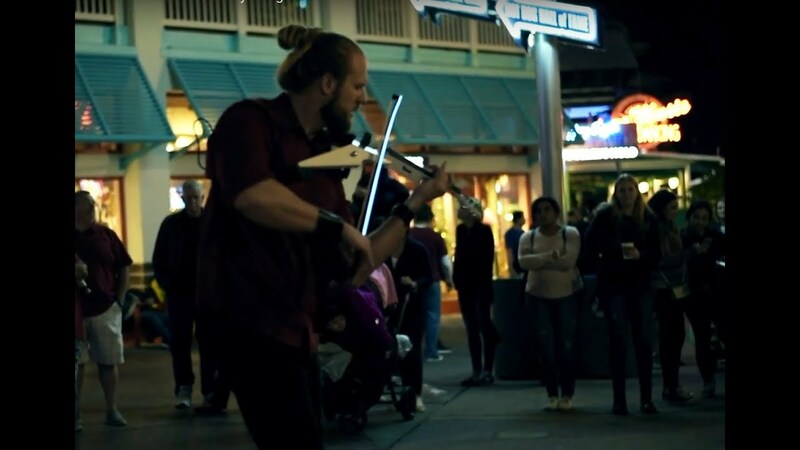 Jared’s ability evolved not only by years of classical training, but also through his mother’s love for music, which only increased his devotion to the violin. 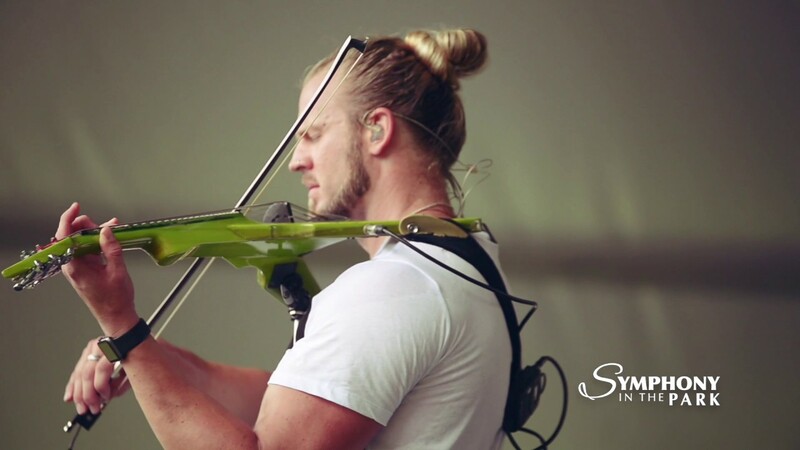 Influenced by the likes of The Charlie Daniel’s Band, Jean Luc Ponty and more mainstream artists such as Boyd Tinsley of the Dave Matthews Band, Jared’s musical style has evolved from classical to include bluegrass and jazz, contemporary and modern rock sounds. At the age of 17, he landed a spot performing with the Sydney Symphony Orchestra, at 26 became Broadway acclaimed and known for his hunky physique with mesmerizing talent to match. His unexpected ability and fine-tuned skill allow him to continue to enamor audiences while performing at New York City’s Carnegie Hall, famed House of Blues and Hard Rock Live venues, amphitheaters, arenas, and restored vaudeville theatres around the nation. Jared has made personal appearances on Live! with Regis and Kelly, MTV, Nickelodeon’s Slime Time Live, The Wayne Brady Show, and numerous regional and national TV networks in addition to appearances with live Dj’s in various night club venues around the country. He could most recently be seen performing nightly on the newest Broadway spectacular, “Cirque Dreams Jungle Fantasy” in the Broadway Theatre in New York City, Six Flags Theme Parks’ most exclusive production, Cirque Dreams Coobrila, Cirque Dreams Holidaze, or Cirque Dreams & Dinner aboard the brand new Norwegian Cruise Liner Epic. Determined to continue to help preserve music programs in America’s public schools, Jared is teaming up with VH1’s Save the Music Foundation, to present Master Classes to students all across the country, giving him the opportunity to ensure that tomorrow’s generation has equal inspiration and ability to nurture their musical talents. Through all his work and devotion to his instrument Jared is branching out on his own. He is creating a musical experience that showcases the art of the violin. 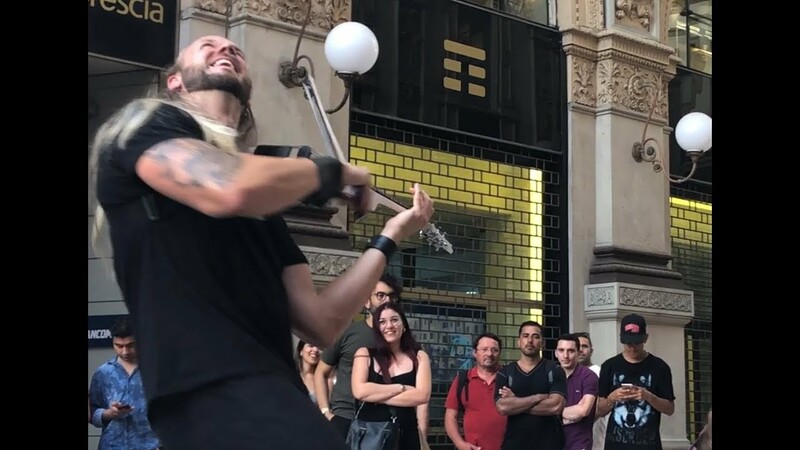 Jared is in association with Mark Wood Music, plays the Wood Violins’, 6 String Viper Electric Violin with strings provided by Super Sensitive Music. I perform as a plug and play musician. I have my own wireless unit to allow for free movement around your event, and a Fully powered PA system that will reach approx 400-500 guests. It is also fully capable of plugging into any house PA system for more coverage. The only tech requirement I have is access to power, so its very self contained! I have the capabilities of playing over 3 hours of music if need be Typically I will play 3, 45 minute sets as a maximum. The tracks that I play have instrumental arrangements and I play the melody line on top of that! As a classically trained violinist I find influence in all genres of music. I learned Beethoven, Bach and Vivaldi but would listen to the likes of Eric Clapton, Jethro Tull, Charlie Daniels and many more for influences.